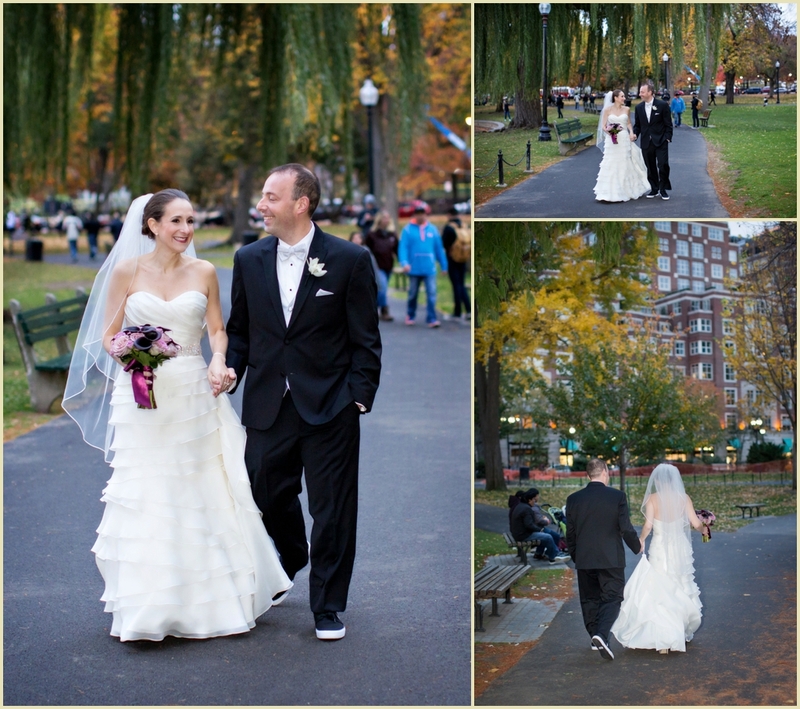 Anne and Jeff had a fabulous fall inspired wedding at The Four Seasons Hotel Boston.We stopped for adorable first looks and photographs in the Boston Public Garden before heading over to their heartwarming ceremony. 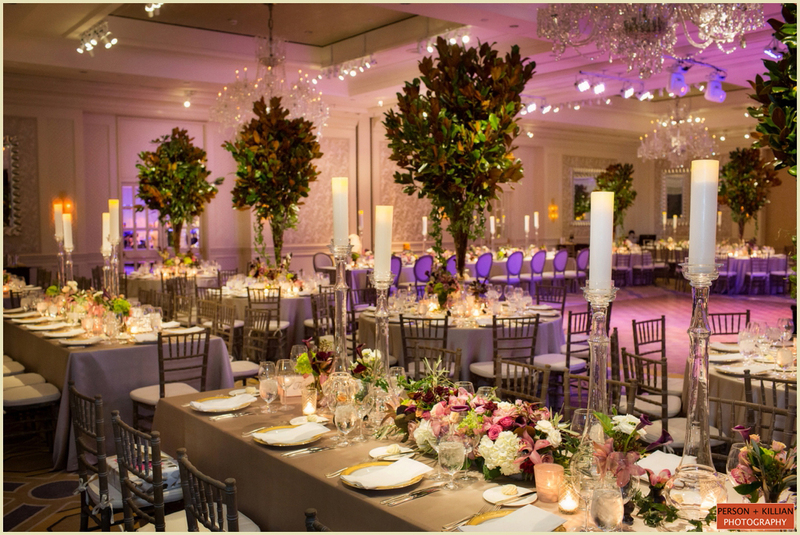 Loving family and friends gathered in the elegantly lit ballroom beautifully detailed with gold, crystal, and floral accents. 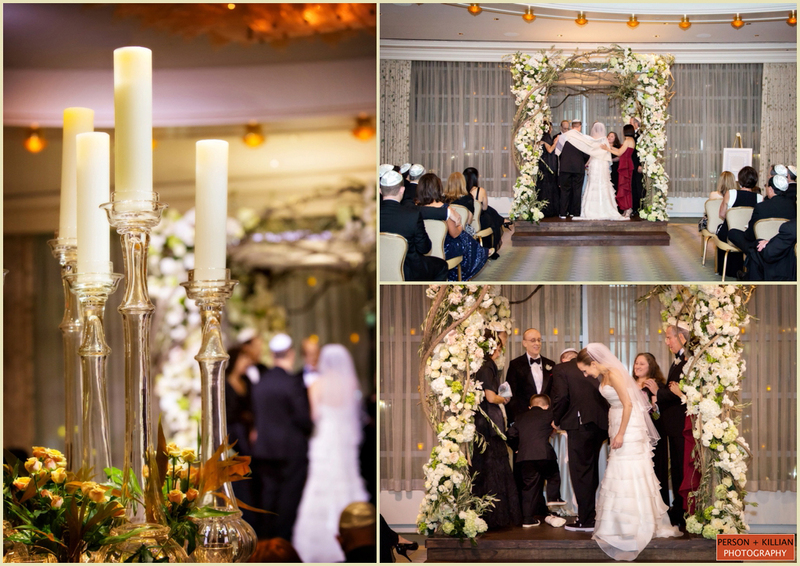 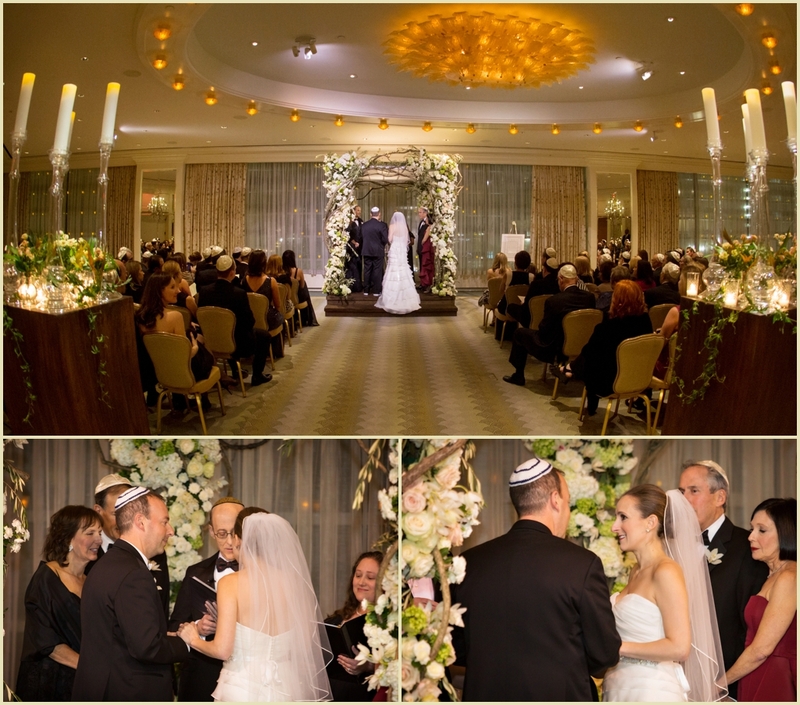 In a lovely traditional Jewish ceremony our couple was joined under a gorgeous floral chuppah bursting with mixed roses. 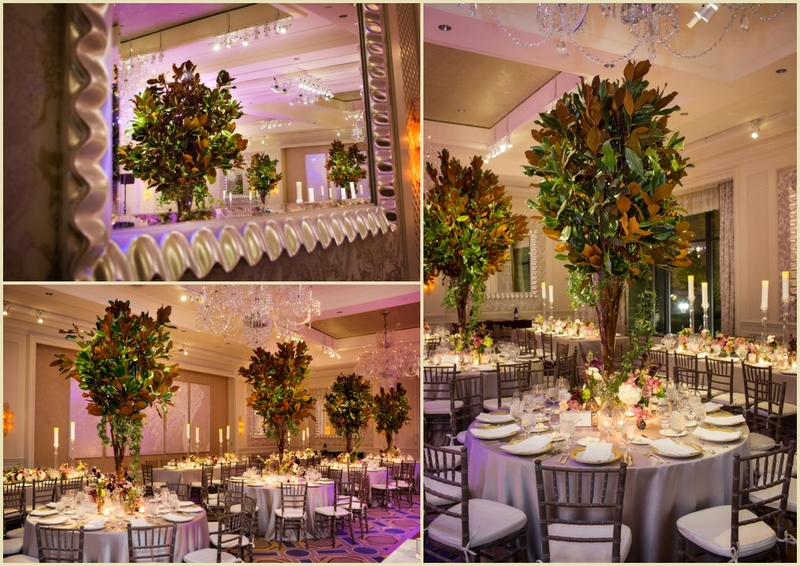 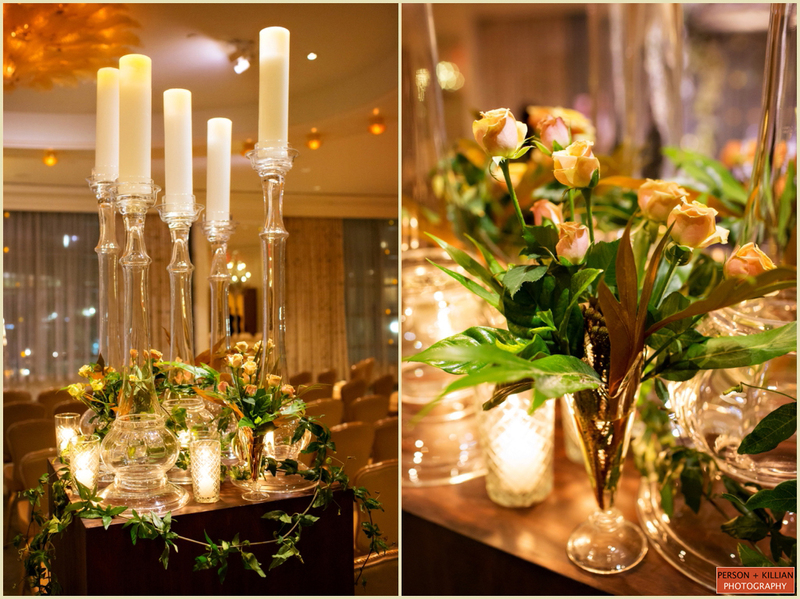 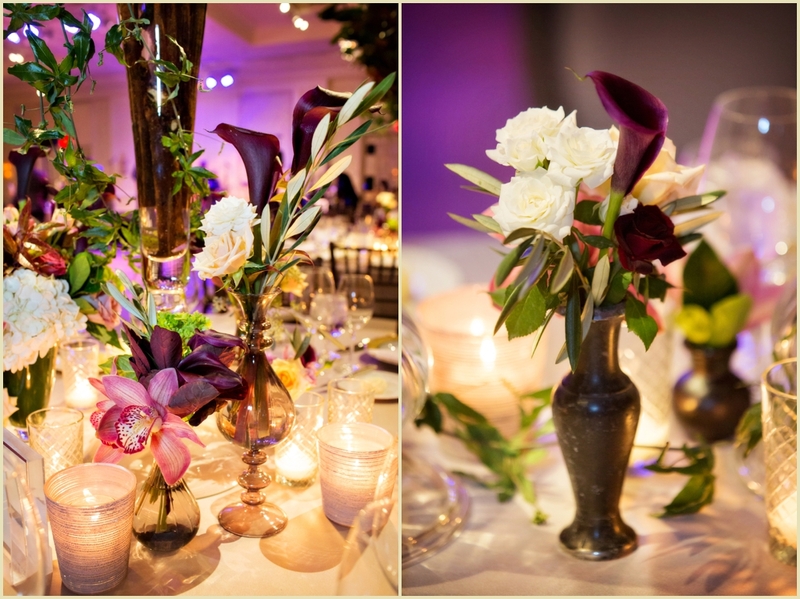 Soft candlelight and dramatic fall tones of rich golds, ambers, deep purples, lush greens, breathtaking floral arrangements and towering centerpieces from Winston Flowers and the artful lighting design of Suzanne B. Lowell made a stunning statement in the Four Seasons Hotel ballroom. 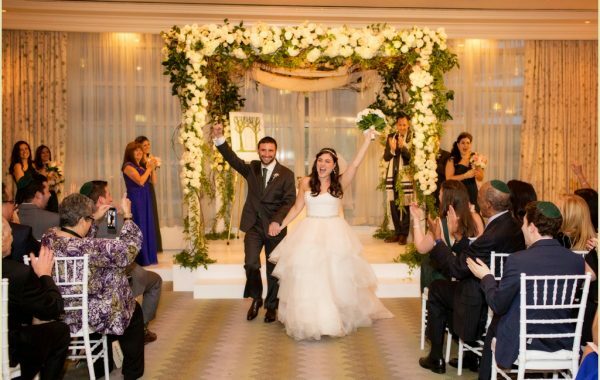 Our happy newlyweds and guests gathered on the dance floor for a touching first dance and to enjoy live music from Nightshift Entertainment’s District 21. 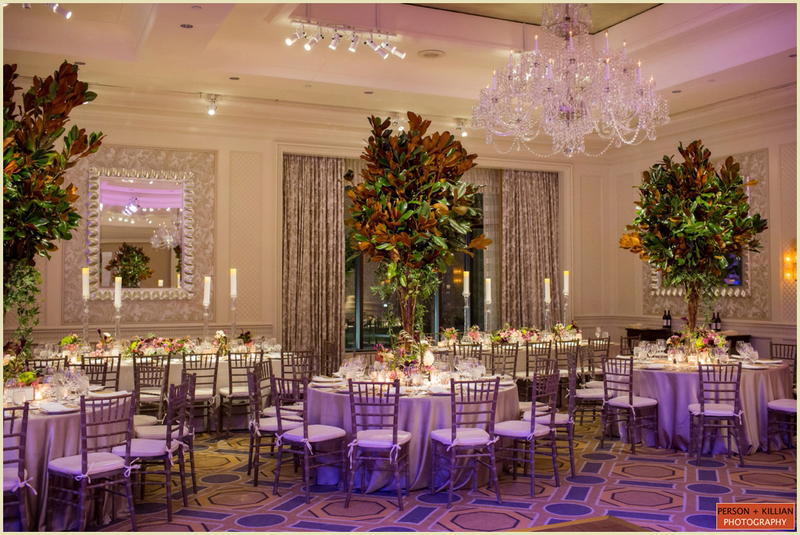 Thank you to planner Lynne Enos and our wildly talented industry professionals for designing such a fantastic event! 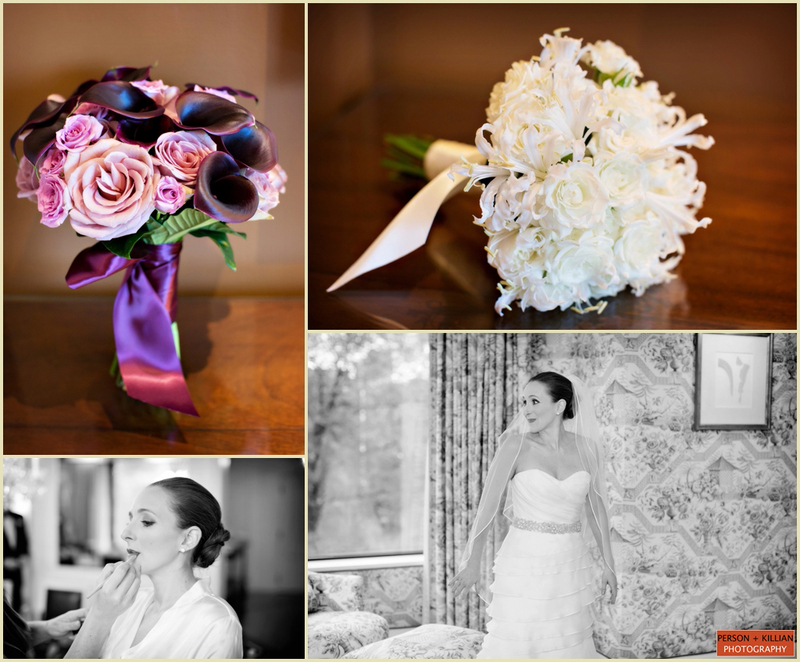 Our sincerest thanks to Anne and Jeff for choosing Person + Killian to document your special day. 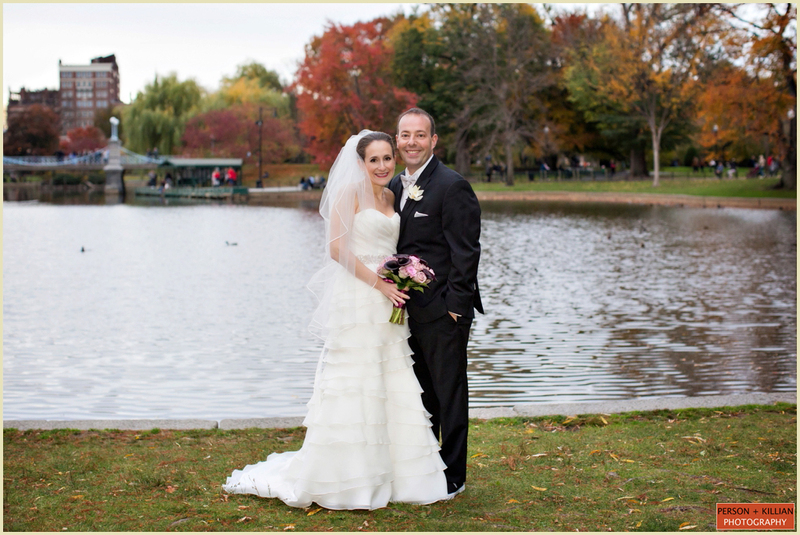 Congratulations to our beautiful couple, we wish you a lifetime of joy and happiness! 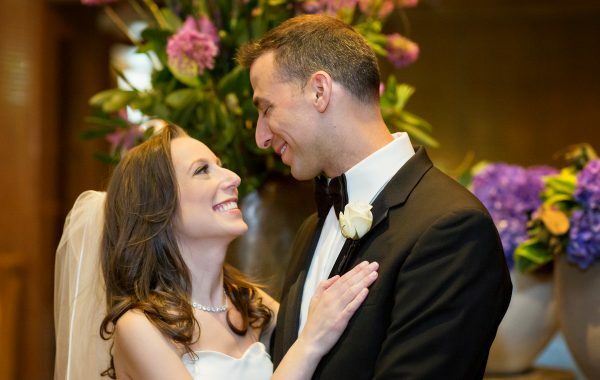 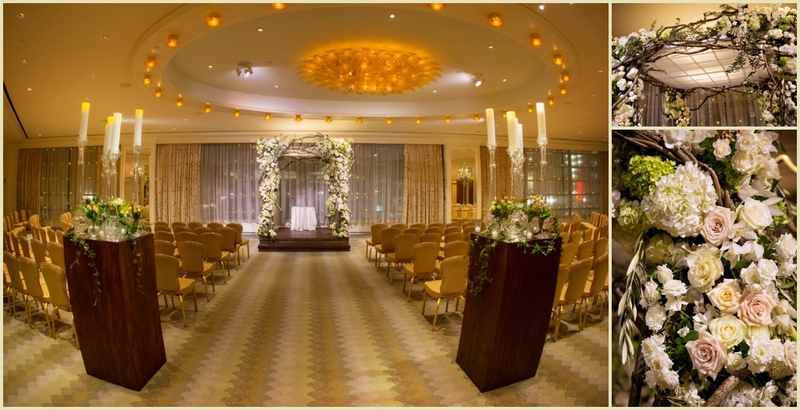 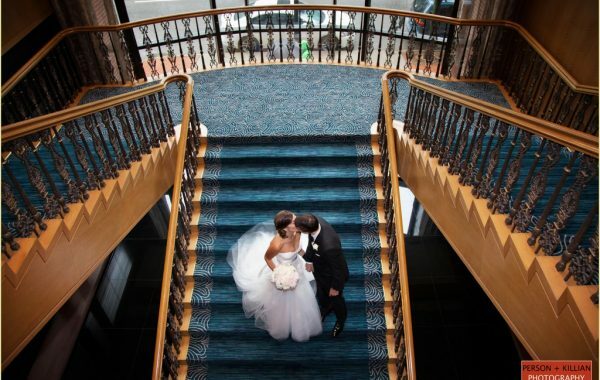 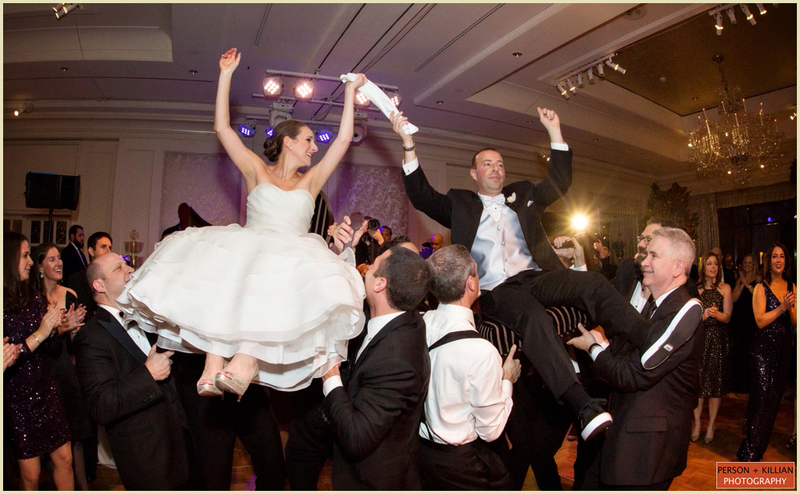 Four Seasons Boston | 2015 Boston Venue Spotlight!